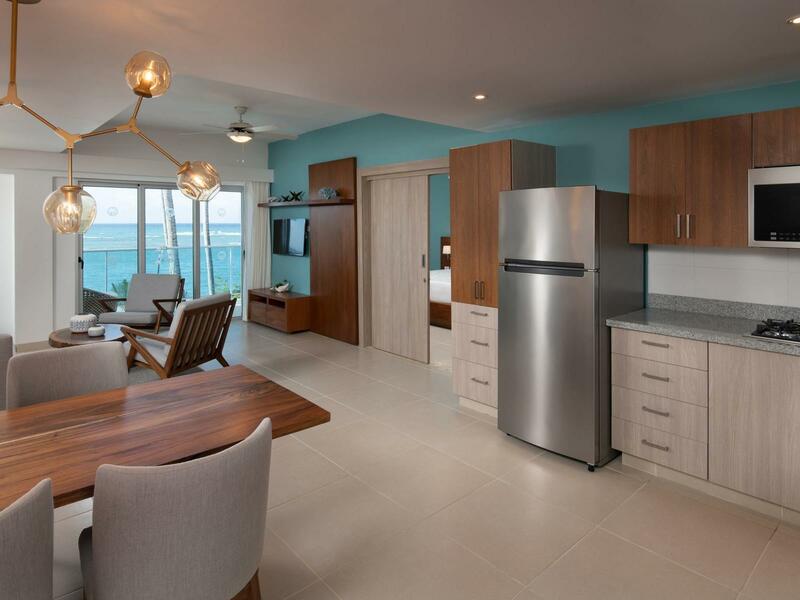 The incredible suites at Imperial Suites Cabarete were created for indulgence and luxury, featuring chic modern decorations and upscale furnishings. This impressive all-in luxury resort offers perfectly-appointed suites varying from one, two, and three bedrooms to our impressive penthouse accommodations. 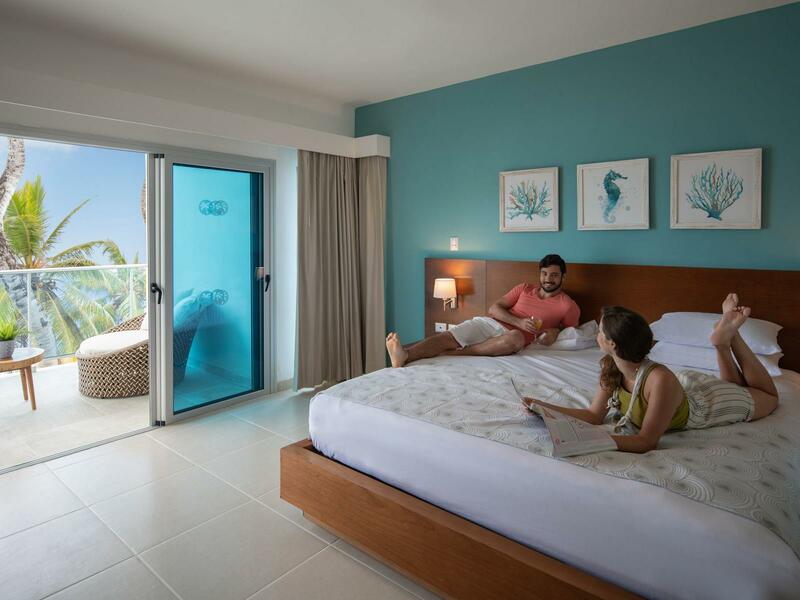 All of our lavish suites feature separate living space, a fully-equipped kitchen, and spectacular views of the sparkling beach and turquoise water. Our indulgent One Bedroom Suites feature a master suite offering a king bed, separate living and dining areas, and a full kitchen. Maximum occupancy is 4 adults. Our spacious Two Bedroom Suites feature an impressive deluxe master suite with king bed and a second bedroom with queen beds. 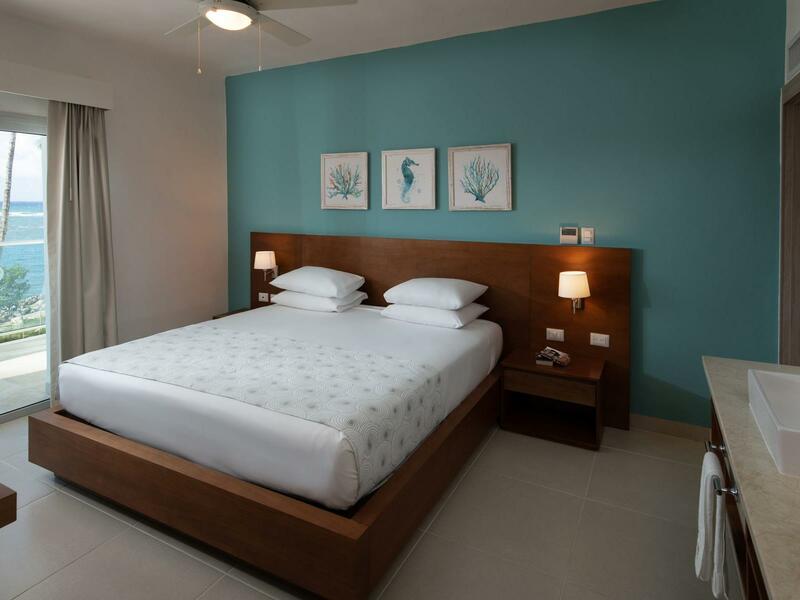 Each bedroom offers its own bathroom, and there are separate living and dining areas as well as a full kitchen. Maximum occupancy is 6 adults. Our luxury Three Bedroom Suites feature an elegant master suite with king bed, as well as second and third bedrooms with either one king or choice of one or two queen beds. Each bedroom offers its own bathroom, and separate spaces are included for living and dining along with a full kitchen. Maximum occupancy is 8 adults.